U street metro stop - Yellow/green line. Dupont Circle metro stop (Q street exit)- Red line. Let us assist you in arranging your next special event at Sette osteria. It will be our pleasure to help you coordinate all the essential elements of your event in order to ensure an unforgettable affair. Our General Manager Mehdi Zorgani will ensure that your experience is enjoyable and that the planning process is efficient. 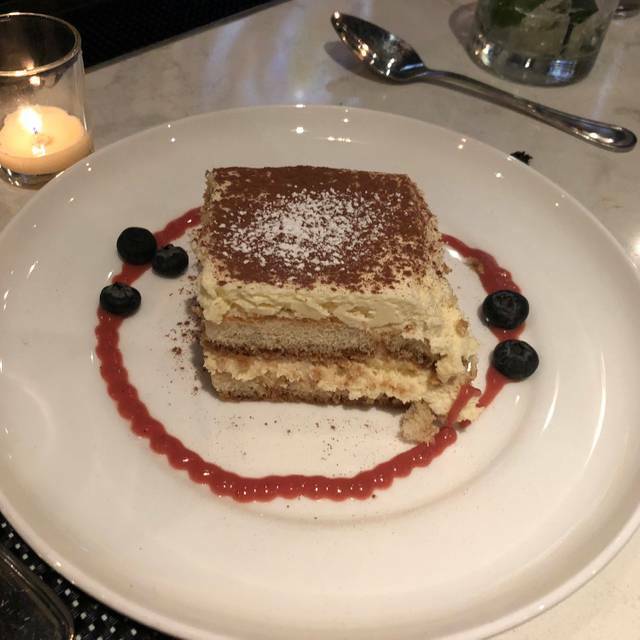 Consider Sette osteria for all styles of events such as Birthday celebrations, corporate affairs, holiday receptions, product launches, Bar Mitzvahs, networking receptions and other special events. Our unique setting will allow us to accommodate any type of event from intimate dinner party of 2, up to large receptions of 75 guests. Please contact Mehdi Zorgani to inquire about hosting your next event at Sette osteria. Private dining and semi private dining available seven days a week brunch, lunch and dinner. Audio visual capabilities available. Sette is Italian for seven, the traditional "lucky" number. The restaurant design is comfortable with a traditional Italian tone, exposed bricks, and with a great " warm feel and flow." 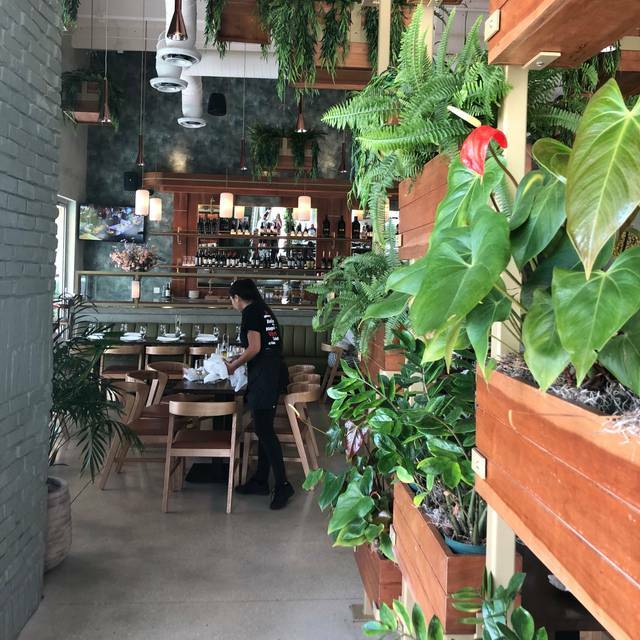 Sette Osteria is a destination place for people as well as a place for people walking in the area to come in and enjoy. Decor: Sette Osteria has an open pizza station viewable by guests. The best decor in a restaurant is people. Windows give guests a view of the active passing scenes on busy 14th street. And, people walking by are able to view a very inviting and appealing restaurant. The decor is rustic and appealing but still carries a theme of sophisticated Italian culture and international buzz. Our waiter was phenomenal and the food was delicious! Will definitely be back for brunch. 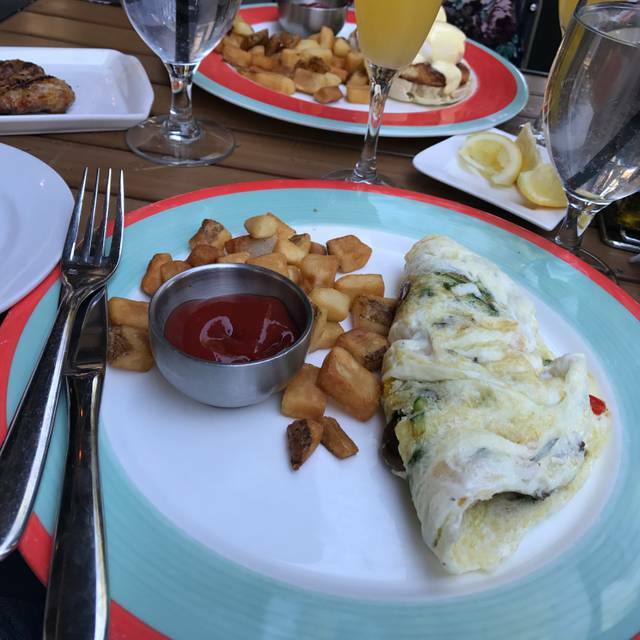 We had a reservation for a party of 4 and after about 45mins of waiting for our food our waiter told us that the kithen was backed up but it should be out shortly - no problem, it was a brunch hour we can wait. Around the 1h15 mark, he came back up frustrated that our food wasn't out and expressed that he was going to speak with his manager about a comp. The manager never came to our table, never expressed any interest in making up for our experience. Around the 1h30 mark, I went down to the bar and spoke with our server and asked if it would just be better if we left since he still couldn't tell us when our food would be out. He went again to speak with the manager, who still didn't offer to come speak with us directly. It was unfortunate because the waiter was doing all he could, the manager should have actually done his job and taken care of our table and he chose not to. Do not come here with a big group. I reserved a group for 14 four days before and they did not have the staff to take care of us. It literally took us close to two hours to get our food and three hours to get our check. Don’t do it. Quaint location with great, no frills Italian food. Perfect for group of 2-4. Our food was good. Our service was awful. The maître d was unfriendly and snobbish. When we were seated, they were only able to provide us with one menu and promised to bring two more for our party of three. They never did. Not a big deal but the service just declined from there. We waited 30 minutes before anyone even took our drink order. Then our drinks sat empty for another 30 minutes before we finally chased down a server to order refills. 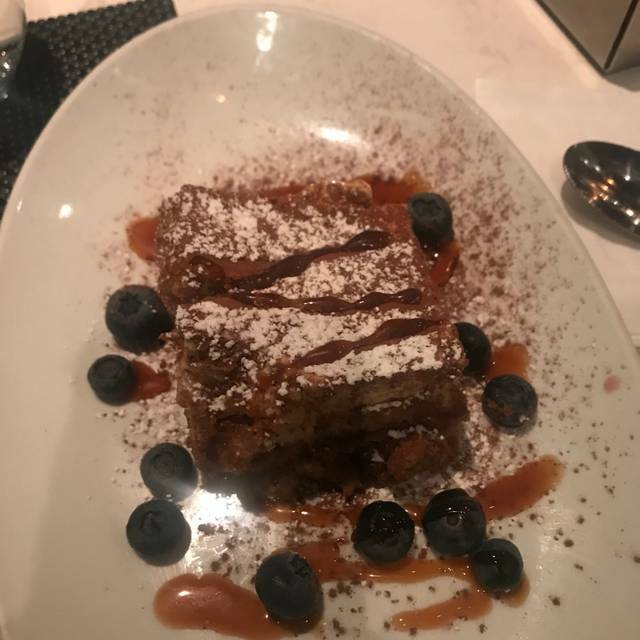 I brought friends here from out of town and was embarrassed and disappointed that this was their DC dining experience. I'll never go back. Too many interesting places on 14th Street to waist time at a place with bad service. Excellent food and drinks. Service was ok but slow. And it was extremely loud, so we had to talk loudly to carry on a conversation. All in all a very good meal, but some shortcomings. The chicken milanese was delicious and came in huge portions, but the pasta was average and a few of the pastas dishes lacked any significant flavor. The ambiance was exceptionally loud but not in a busy or "energetic" way, but more in that the acoustics of the dining room are terrible and all of the voices echo off of the low ceiling extremely loudly. I definitely don't recommend if you're hoping to have conversation with your group - we decided to go elsewhere for dessert because we couldn't hear each other at all and were tired of trying to shout over the noise. They tried to seat 6 of us at a four top booth in the middle of the walk thru at bar area and stuck a tiny table and chairs on the end. Good food and great service would def go back again. Second time going here. First time we came for dinner and had pizza with beet salad. Everything was delicious. Second time was for brunch. 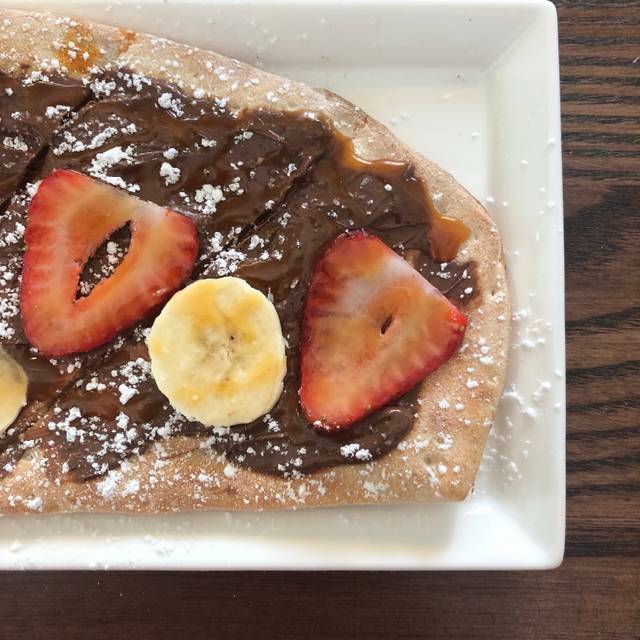 Poached eggs were delicious, so was the Nutella flatbread (but I wish they had put more strawberries than bananas). Frittata was good too but the other two were much tastier. Service was excellent and everyone was super accommodating about me bringing a two month old baby. Next time I hope to try the pasta. Delicious mushrooms & ravioli, salmon, and pasta with clams. Over all very good. Salad and pizzas were very good so was desert. The second time we went to eat and the only real issue is the noise. Very hard to have a conversation. The food is yummy but we didn't get seated for almost a half an hour after our reservation time, and it took around 45 minutes for our food to come out after we ordered. Service was terrible. While the waitress was kind, she never checked in on our table and we had to ask multiple people for the check, which eventually showed up. Ambiance is trendy and while I would recommend this as a great weeknight date spot, I won't be returning on the weekends. The restaurant was too loud and it was impossible to have a conversation. Food was decent. I didn’t enjoy the apple tart. It wasn’t warm and the taste and texture were disappointing. Overall, we had a good time. The food and ambiance were excellent! I would go back any time and recommend it to anyone. Everything was very good and fairly reasonably priced. The service was good. Our biggest issue was just the noise level we were hardly able to hear each other speak. The food was fabulous. The service was a little slow, but still did not detract enough to take away anything but five stars! We got there early, 6:15 and it was empty, everyone was extremely hospitable. Filled up by 7:15pm and still hospitable but loud. Food was delicious. We had a pre-theatre dinner there and the food was excellent. Unfortunately, things got crowded and after speedy service of our salads and entrees, dessert disappeared and we had to cancel them after waiting 40 minutes. The staff was very apologetic and I would certainly eat there again. Very noisy and our waitress was not attentive. Food is excellent, but there are many options with better service in the U Street area. Excellent service and food. 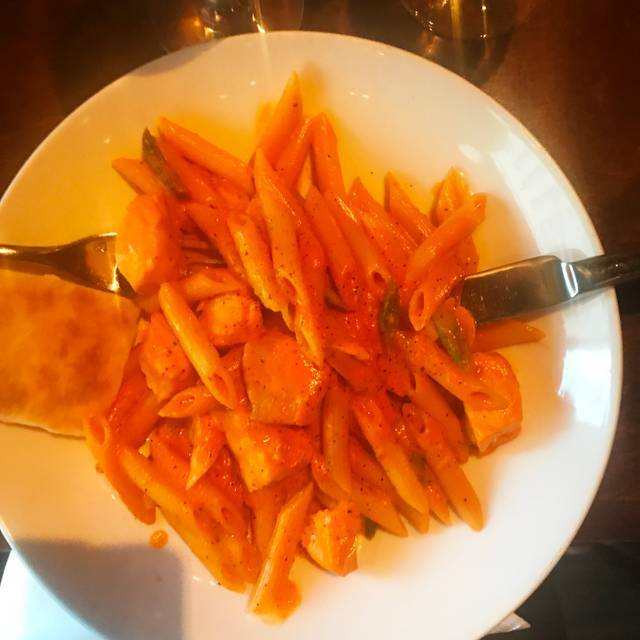 Pasta was cooked perfectly and the service was prompt and unobtrusive. Always an excellent Friday night choice. Great food and friendly crew. Perfect neighborhood spot! Food was great but a little over priced. Restaurant was bright and loud. All things aside, I’d still go back. Our waitress was Fabius as always! Great place for dinner. Knowledgeable staff, lots of options on the menu. Upscale, yet casual. It was overall a very good experience. The food was good and the staff members were friendly. Milica was our server. She was amazing. Loved her. New Years brunch. 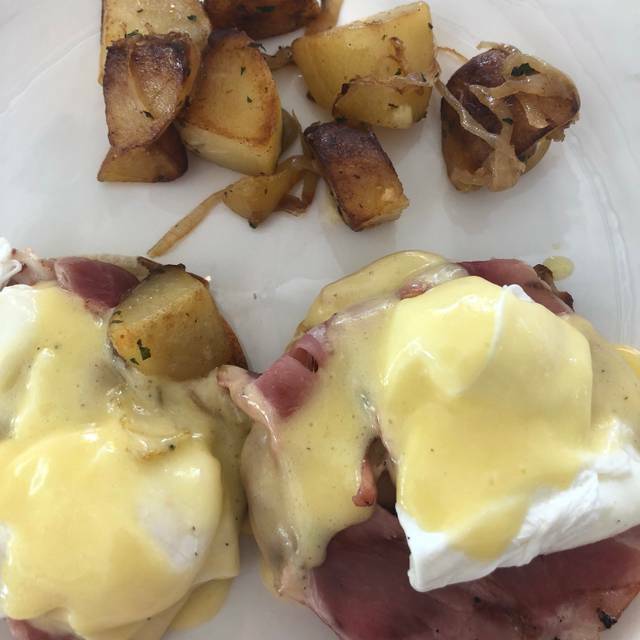 One Benedict was over cooked and service was extremely slow with one waitress. Finding ourselves unexpectedly adrift on New Year's Eve, we booked a last minute table at Sette on 14th. We were glad to find a table at a local favorite. The staff were warm and welcoming, and the restaurant was filled with balloons in anticipation of the new year. The only wrinkle in the evening was that pizza was not on offer that night (which is what we'd hoped to have), so we had to choose from the remainder of the extensive menu. The 4 course menus looked amazing, but we had room only for one course. We were finished by 9pm, just as the festivities were kicking into high gear, so can't comment on the later evening experience.